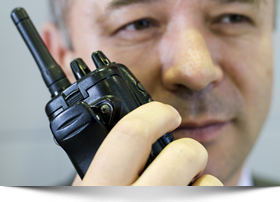 The Security Officers of Bay Valley Security are exceptionally reliable, taking on tasks that may not have been possible with a different security company. The management at Bay Valley Security has also been a true partner as they work with us very closely to ensure our satisfaction continuously. The professionalism and calm attentiveness of Bay Valley Security officers are most appreciated. Since the seamless transition from our previous security provider, many people have observed these officers in action. You can see that they are motivated individuals. They really move swiftly and calmly to take control of any situations that arise. I am very happy with Bay Valley Security services, and they have exceeded my expectations with the added value that they brought to our company. They are the "go to" people. What is impressed me about Bay Valley Security is the attention that is given to individual employees. The employees of Bay Valley Security have direct line to their managers. This employee satisfaction is very important because unhappy contractors make for unhappy everything. And it is more than good pay, benefits and the learning and development that the employees get. It is that expectations are understood and everyone is on the same page. A significant factor in our decision to partner with Bay Valley Security was our shared company value of putting employees first and, correspondingly, an expectation for best in class service delivery. The professionalism and passion in which Bay Valley Security teams has worked towards delighting their customer is clearly evident to us and exceeded our expectations. Beginning with the Request for Proposal (RFP) process and through the transition to Bay Valley Security services, it has been truly a first class effort by all involved, which has been widely recognized by our employees and management. We realize that success on a scale of this magnitude requires the dedicated effort and commitment of many people within Bay Valley Security and we are grateful for everyone contribution. From an overall perspective, their attention to detail and the planning that went into the transition certainly was a credit to their experience in business. Bay Valley Security has the unique ability and a willingness to consolidate their experience and our existing process to maintain our company flavor. Bay Valley Security recognized early on that there were some opportunities they could do to help us streamline our business to make us a more competitive company. Those are traits that we admire in Bay Valley Security. 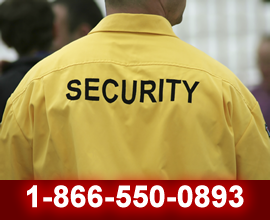 Bay Valley Security Officers will provide state of the art security and guard services at any location, at any time. All our Unarmed Officers are put through a rigid background check and have a clean driving record. A recognized leader in continually setting the standard for contract security services.We take security very seriously. No matter where we serve, we strive to be the most responsive security services firm in the industry. Copyright © Bay Valley Security. All rights reserved.